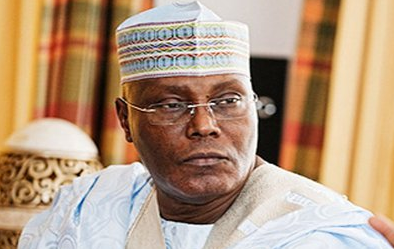 Peoples Democratic Party (PDP) governors are split over the expected defection of ex-Vice-President Atiku Abubakar to the party and his bid for the presidential ticket. Some of the governors and party leaders prefer National Caretaker Committee Chairman Ahmed Makarfi, former Jigawa State Governor Sule Lamido and one-time Governor of Kano State Ibrahim Shekarau. There were indications that some of the governors might oppose former President Goodluck Jonathan’s plan to back Atiku as the party’s presidential candidate. They claim not to have been consulted by Jonathan. Atiku has continued his consultations prior to his return and registration as a PDP member in Jada 1 Ward, Adamawa State. The Adamawa chapter of the APC yesterday confirmed the receipt of Atiku’s resignation letter. Atiku spent the weekend holding talks with some of PDP’s Northeast Zonal executives; Adamawa PDP executives and party leaders from Jada Local Government, Jada 1 Ward and zonal executives. PDP State Secretary Abdulllahi Prambe described the meetings as fruitful. “Our meeting with him has been fruitful and from his body language, he will soon return to PDP,” Prambe said. “With Atiku, the party will carry more weight and more people will also troop in,” he said. It was learnt that Atiku might meet Governors Ibrahim Dankwambo (Gombe) and Ishaku Darius (Taraba) in Abuja this week on his plans to return to the PDP and seek their cooperation. Although he was silent on when he would rejoin the PDP, there were speculations that he might re-register in Jada 1 Ward of PDP on December 6.